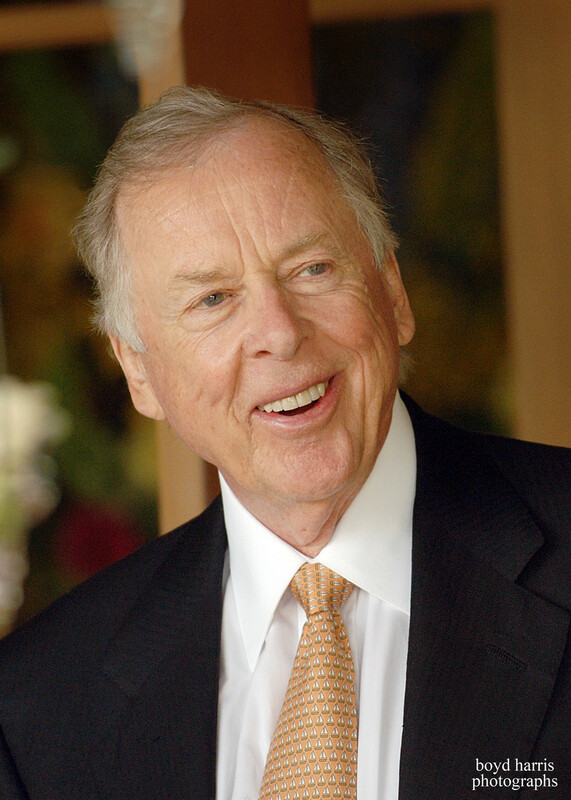 WACO, TEXAS – The American Football Coaches Foundation® today announced that T. Boone Pickens, founder and chairman of BP Capital, is the 2011 recipient of its CEO Coach of the Year Award. This is the highest honor bestowed by the organization, whose inaugural recipient in 2006 was Jeffrey R. Immelt, the CEO of General Electric. Domino’s Pizza CEO David Brandon, MidAmerican Energy Holdings CEO David Sokol, former HP CEO Mark Hurd and FedEx Corp. Chairman and CEO Frederick W. Smith received the honor in 2007, 2008, 2009 and 2010, respectively. Pickens was selected for the award by a unanimous vote of the AFCF Board of Directors. He will be honored at The Foundation’s CEO Coach of the Year Dinner, held at The Waldorf=Astoria® in New York, N.Y., on December 12, 2011. Pickens is principally responsible for the formulation of the energy futures investment strategy of the BP Capital Energy Fund, LP and the BP Capital Energy Equity Fund, LP. BP Capital manages one of the nation’s most successful energy-oriented investment funds. Pickens is also aggressively pursuing a wide range of other business interests, from alternative wind power, and ranch development initiatives to Clean Energy, a clean transportation fuels company he founded and took public in May 2008 (the eighth entity he has helped go public in his career). Pickens was founder of Mesa Petroleum in its various forms beginning in 1956. Mr. Pickens’ career at Mesa spanned four decades. Under his leadership, Mesa grew to become one of the largest and most well known independent exploration and production companies in the United States; Mesa produced more than 3 trillion cubic feet of gas and 150 million barrels of oil from 1964 to 1996. Throughout his professional life, Pickens has been a generous philanthropist, giving away nearly $1 billion. The Pickens Foundation is focused on improving lives through grants supporting educational programs, medical research, athletics and corporate wellness, at-risk youths, the entrepreneurial process and conservation and wildlife initiatives. His $165 million gift to his alma mater, Oklahoma State University, in 2005 is the single largest gift for athletics in NCAA history, and the $7 million donation to the American Red Cross in 2005 is the largest individual contribution in the 150-year history of that organization. A number of diverse organizations recognized Pickens for his deeds. Among them: 2010 “Boone Pickens Appreciation Day” in Oklahoma, declared by the Oklahoma State Legislature on May 13; the 2009 American Security Council’s Lifetime Achievement Award in Public Service; 2009 Time magazine “100” list of world’s most influential people; and 2009, 43rd annual Texas Legislative Conference “Texan of the Year” award, just to name a few. The Horatio Alger Association of Distinguished Americans Inc. selected Pickens as a recipient of the 2006 Horatio Alger Award, which epitomizes those who overcome adversity and humble beginnings to achieve success. The Alger selection is but one of many honors awarded Pickens for his achievements, including Trader Monthly’s 2006 Trader of the Year award, the Texas Business Hall of Fame (2005); Oklahoma Hall of Fame (2003), U.S. Department of Energy, Clean Cities National Partner award, ENRG (2002); INFORM’s Corporate Environmental Leadership Award (2002); Oil & Gas Investor’s Hart Publication list of “100 Most Influential People of the Petroleum Century” (2000); Honda Environmental Citizen Award (2000); Certificate of Special Congressional Recognition (2000).